stylist and I will be very lucky if I could start my career with your reputed hair studio. I have also done some additional courses in make-up and styling, to add-up to my work silhouette. I am sure that with my skills and education, I prove myself as an asset for your studio. 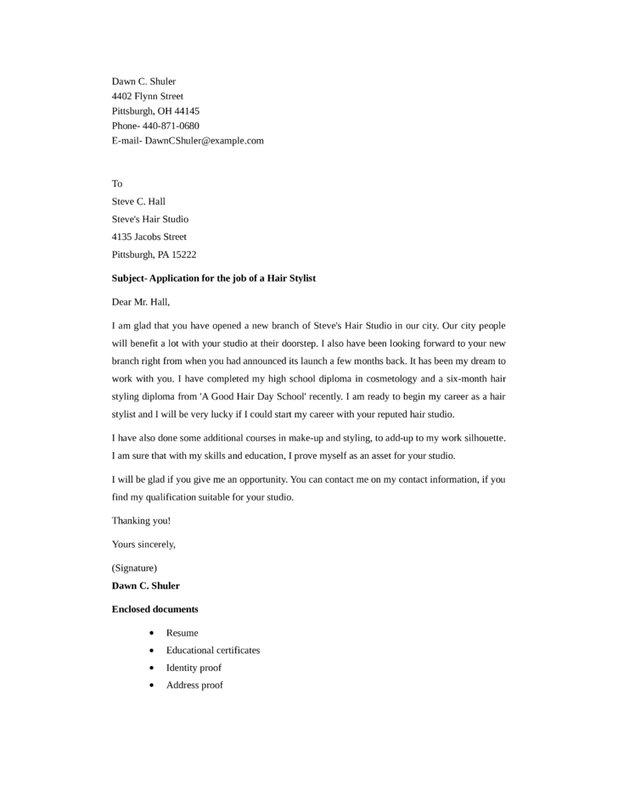 find my qualification suitable for your studio.